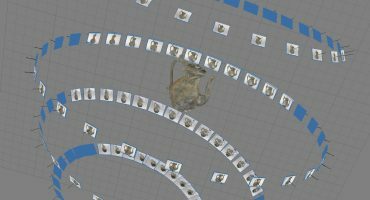 This post is by community members Kevin Bacon (Royal Pavilion & Museums) & Myrsini Samaroudi (University of Brighton), published by Sketchfab. The Royal Pavilion & Museums is a museum service in the city of Brighton & Hove in the UK. We operate five museums: the Royal Pavilion, Brighton Museum & Art Gallery, Hove Museum & Art Gallery, the Booth Museum of Natural History, and Preston Manor. We have a diverse range of collections, including natural history, world art, decorative art, fine art, local history, archaeology, film & media and fashion & textiles. Our work in 3D is almost entirely supported by the University of Brighton and a small number of talented volunteers. The University of Brighton team consists of researchers at the School of Computing, Engineering and Mathematics at the University of Brighton, including PhD students Myrsini Samaroudi and Dean Few, as well as Senior Lecturer Dr Karina Rodriguez Echavarria. With a mixture of backgrounds in Archaeology, Cultural studies and Computer Science they research on technologies and applications to support heritage organisations to document, analyse and disseminate tangible and intangible cultural heritage. During the last few years, they have supported us to digitise in 3D various movable / immovable artefacts and to make them available on web platforms. Most of the models on our Sketchfab account are the results of their work. A separate strand of work in 3D has been supported by a volunteer, Colin Jones. He has built several models of the Royal Pavilion Estate at various times in its development, using plans and other archival material. Given the wider availability of 3D technologies, such as gaming consoles, immersive technology and 3D printing, 3D presents many opportunities – that were not available before – to engage people with cultural heritage. 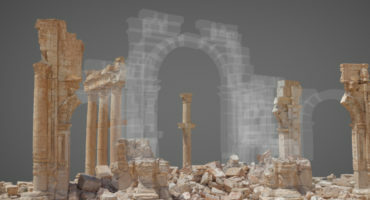 Sharing 3D data online on platforms such as SketchFab provides a unique opportunity towards the ‘democratisation’ of cultural heritage and its enjoyment by all. That’s one reason why we’re keen on making these models available under an open licence. We’re also using 3D to explore new ways of interpreting our collections. A 3D model opens up ways of looking at objects that are not possible with a still photograph, or an original object in a case; how do we turn these new ways of looking into new narratives, or forms of analysis, or learning experiences? There are an enormous number of issues to unpick here, but this Neanderthal hand axe is a good example of the potential. From a still photo it’s hard to get a sense of how it might be used as a hand tool; indeed, it might look very much like an average piece of flint. But being able to rotate the object, and gain a sense of its 3D physical form, it’s easier to imagine how this might fit into your hand, and how it might be applied as a tool. Setting up the digitisation space (i.e. setting up a tent to black out the light in a suitable area as well as setting up lights, turntable and scales close to the object if need). 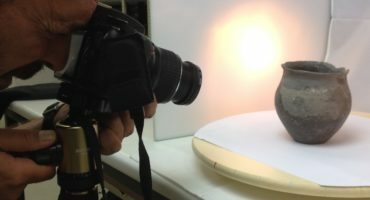 Acquiring the images using the 3D scanner or a DSLR camera. Processing the acquired images and producing the final models using image processing software. We also enjoy bringing artefacts ‘back to life’, by using digital fabrication technologies, so that audiences can fully access and appreciate objects that were otherwise out of touch. E Lynx’s animated Girl with the Pearl Earring is a lovely example of how museum collections can inspire creative responses. Museums may be founded on the scholarly and the literal, but part of the democratisation of cultural heritage is to enable and encourage playful work like this. It’s also a model that poses some questions back to Vermeer’s painting. Rotating the girl’s head reveals that her face can appear to convey different emotions depending on the chosen perspective. Vermeer’s painting only provides a single perspective; were there thoughts and emotions that he didn’t capture on canvas as they escaped his controlled gaze? Be sure to check out the rest of the models on Brighton Museums’ Sketchfab profile and find out more about their work on their website or follow them on Twitter or Facebook.